What is a Fire Detector? Smoke detectors are the most common type of fire detector. 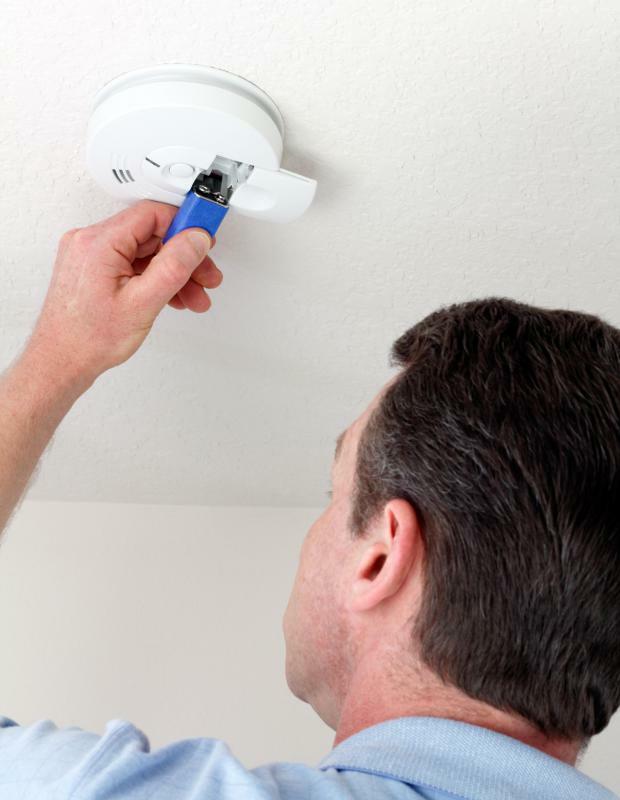 Battery-powered fire detectors, like smoke alarms, should have the battery replaced twice a year. A fire detector is a device that gives off a warning when heat, light, or smoke from combustion is present. An infrared fire detector is able to recognize when heat levels have exceeded those of normal operation and a fire has ignited. Ultraviolet fire detectors are set off when they sense the ultraviolet light spectrum given off by flames. The carbon monoxide sensor inside a smoke-sensing fire detector is calibrated to detect just a few parts per million in the air it samples. Each type of fire protector has features and advantages that make it suited for a specific fire prevention application. Infrared fire detectors are commonly used in factories and data storage facilities to monitor the heat levels of electronic and mechanical operations. Early detection from an infrared monitoring system may reduce detection times enough to save thousands of dollars in damage. Infrared fire detectors are commonly mounted above the working devices where they have a full unobstructed view. Software is often used to monitor the video feed from the infrared fire detector and trigger an alarm when temperatures reach combustible levels. Alarms can then be relayed to automatically trigger a fire suppression response within seconds of detection. Ultraviolet fire detectors are capable of detecting flame heats within a specific range. Some operations require controlled combustion that would constantly set off an infrared fire detector. The ultraviolet detector can be calibrated to trigger an alarm response only when the temperature of the flames exceeds a specified range. A combustion system can be set to automatically power off when undesirable fire levels are detected. Fire detectors with ultraviolet sensing capabilities are often used in conjunction with other fire detection devices to provide redundant protection against fire damage. 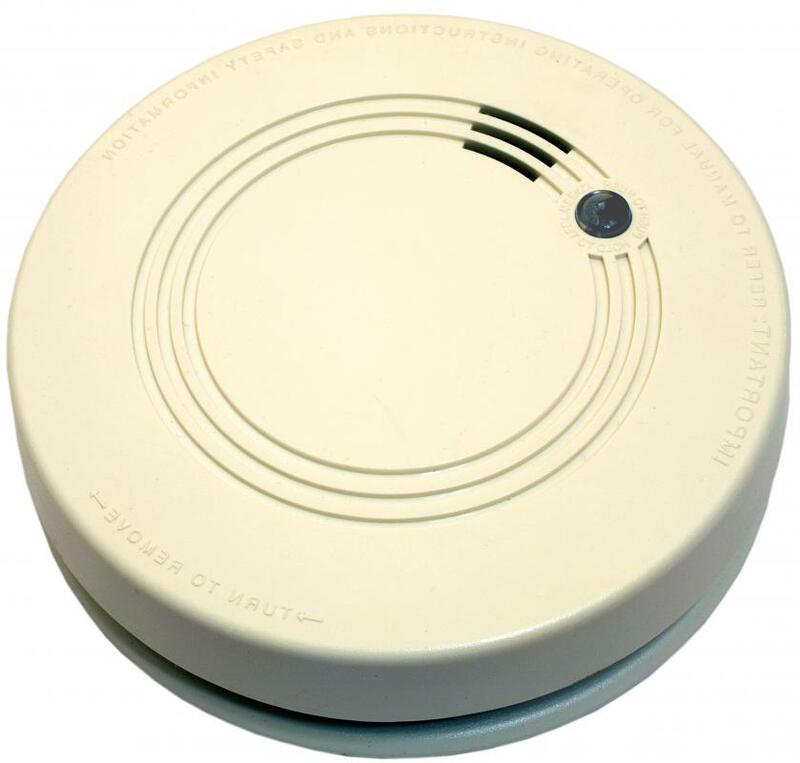 Smoke-sensing fire detectors are the least expensive and most widely used type of fire detection device on the market. The biggest drawbacks of this type of fire detector are its unreliability and slow response time. As smoke is a secondary effect of a fire, it may not reach the smoke sensor until the fire has grown to an uncontrollable level. Some materials give off a very small amount of smoke when they burn, allowing them to do extensive damage before a smoke alarm goes off. Fires in well-ventilated areas and like outdoor settings may not produce smoke in a sufficient concentration to set off a carbon monoxide sensor. What Is a Smoke Sensor? What Is a Fire Suppression System? What Is a Heat Detector? How do I Choose the Best Wireless Smoke Alarm? What is a Single Gas Detector? How do I Choose the Best Natural Gas Detector? A fire detector could easily detect smoke, and thus, will create a sound as soon as a fire is detected. This is very important at night when most of your family members are still sleeping. That is why it is essential to install a fire detector or smoke detector.